After being introduced commercially in the late 19th century, Ouija boards have become vastly accepted as a gateway for communication with the spiritual realm. Since their introduction into the modern world, many people have shared tales of using the instrument. There have even been reports of people becoming hospitalised after their conversations from beyond the grave. With this in mind, it’s safe to say that the Ouija board has gained a pretty bad rep. 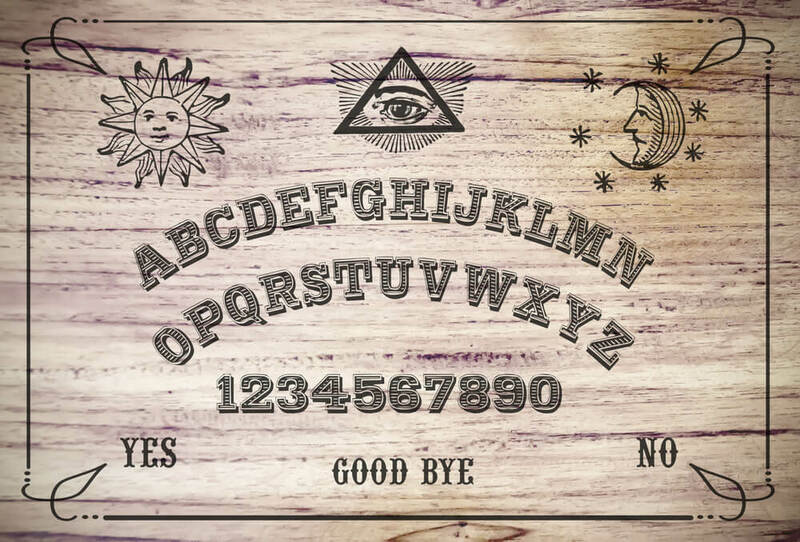 Traditionally, a Ouija board is wooden with the words “yes”, “no” and “goodbye” engraved on it, the alphabet is then presented along with numbers 0-9 on the front of the Ouija board, allowing a basic means of communication. The board asks users (or players) to place their index finger on either a planchette or a glass cup before asking a question. The idea is that a cooperating spirit will answer the desired questions by moving the marker over letters and numbers. The risks involved with Ouija boards. There are some risks attached to the use of Ouija boards that many skeptics overlook. It is important to ensure that whilst communicating with another realm you don’t leave yourself or anyone else vulnerable to the actions of an angered spirit. Many of the spirits reached through this method of communication often reside on the lower astral plane, meaning they’re usually souls that have encountered a sudden death. Before playing with a Ouija board you need to ask yourself if you have the psychic skills to safely play the game. Do you know how to ground yourself? Have you cast the right charm in order to protect yourself in case of an emergency? Are your spirit guides there with you? Many people will use a Ouija board without properly learning the correct procedures and rituals to follow throughout the experience. Many Ouija board users have minimal knowledge of the risks involved. To put it simply, unless you are a medium with experience and knowledge then you really should not be using this method of communication. You also shouldn’t play with a Ouija board if any member of your party is feeling unwell or scared as this will only make things worse for them. If a player gets spooked during the seance, round up your conversation between the realms by thanking the spirit for their cooperation and stating “goodbye,” then give the affected player the opportunity to relax and calm down offering them a beverage to further calm their nerves. A spiritual ritual should never be imposed on someone and it should be entirely the person’s choice on whether or not they accept in contact between the realms or not. When communicating with spirits, many people are tempted to ask for proof of their existence by saying things such as “turn the light on/of”, or “make a noise.” This types of directive questions offer an invitation to the spirit to enter your home and personal space. Giving acceptance for a spirit to cross the line between the different realms and enter the earth plane should always be avoided at any costs. Some spirits see communication through the use of Ouija board as an invitation for their energy to be allowed to pass between worlds. In some cases, a spirit may attempt to break through the realm by moving the planchette at a speed from 9 downwards. 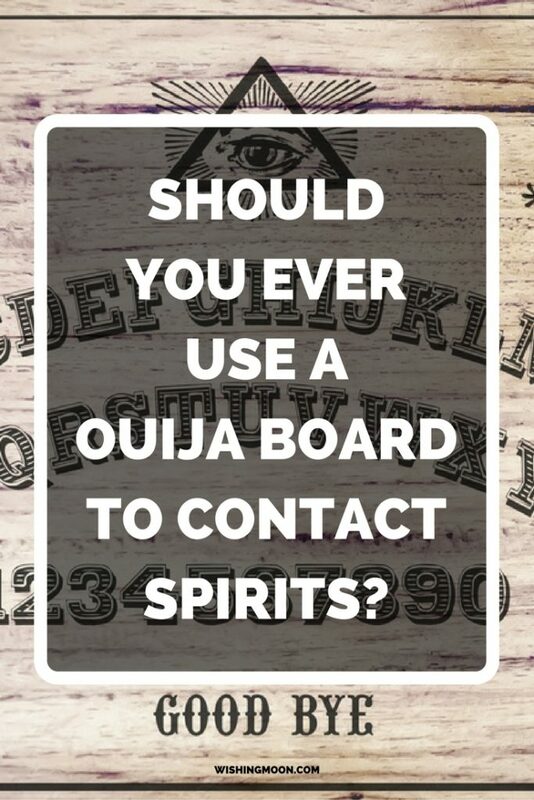 A final issue with Ouija boards is that like anything else in the world people may depend on the board to offer them answers. Not all spirits will be truthful and some may even be purposefully deceiving. Ouija is not a method of life counselling and it’s definitely not the way to go about “predicting” your future.Tarot cards and other forms of psychic instruments are available if this is your intention for using a Ouija board. Thankfully, there are other (safer) ways to connect to the spirit world as a beginner. We’ve created this guide to help you connect to the spiritual realm safely and effectively.